Crazy times… Good times, but lots of plates spinning. Unfortunately that has meant less writing. And this post especially is long overdue. I hope that you’ll find that good things do come to those that wait. 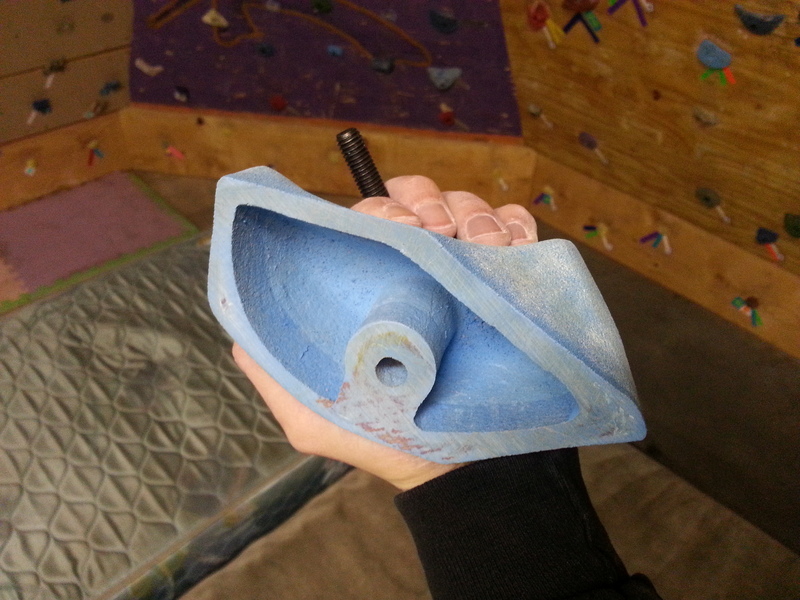 A few months ago, I was given the opportunity to review some holds from Red Point Holds. I wrote from a home wall owner’s perspective. 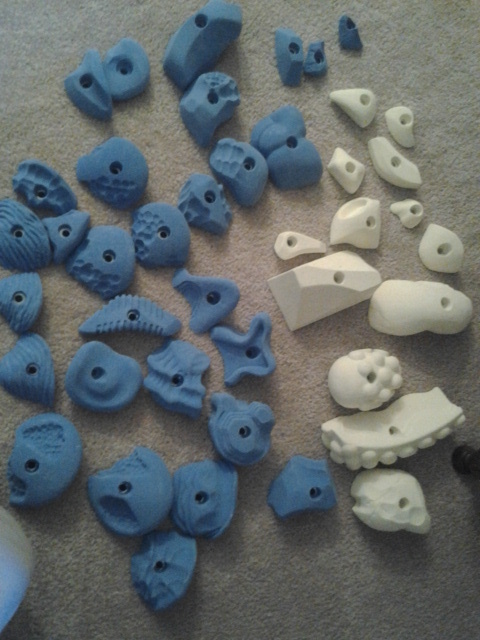 Well, I’ve gotten another shot at some new holds from a new hold company, Meuse Climbing Holds. And again the premise of my review is that the holds that are “best” for a homewall are often different from the needs and wants of a Commercial Gym. I received a box on my doorstep from owner Brian Meuse, and needless to say, I didn’t wait long to open it and get my hands on them. And that is exactly what I did. Yes, I was interested in the shapes, as Brian mentioned that he prides himself on the uniqueness of his shapes. But we’ll get to shapes a little later. 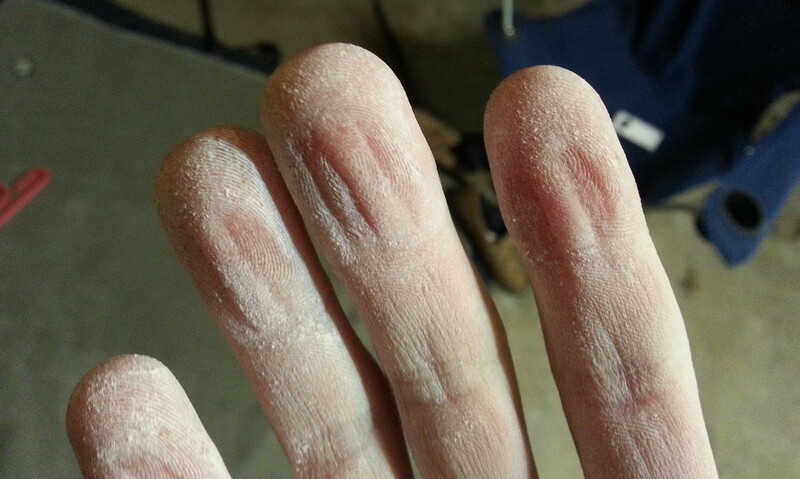 I began my exploration by checking out the texture of the holds. Texture is a delicate balance for both gyms and homewalls alike. If they are too slick, they won’t get used, but if they are too rough, they can wear down the skin too much. This is especially important as a homewall is a training device, like a treadmill is for runners. So where do Meuse Holds fall on a texture spectrum. I’d say that Meuse Holds and Redpoint Holds are very similar in texture. It really is a comfortable texture. In the couple months I’ve climbed on them, they have really held up well. In the mix were a few technical foot holds. These will prove to be the real durability test, as on my homewall, footholds are by far integrated into the most routes. So far, so good. I then started checking out the shapes, and something jumped out at me as positively unique. 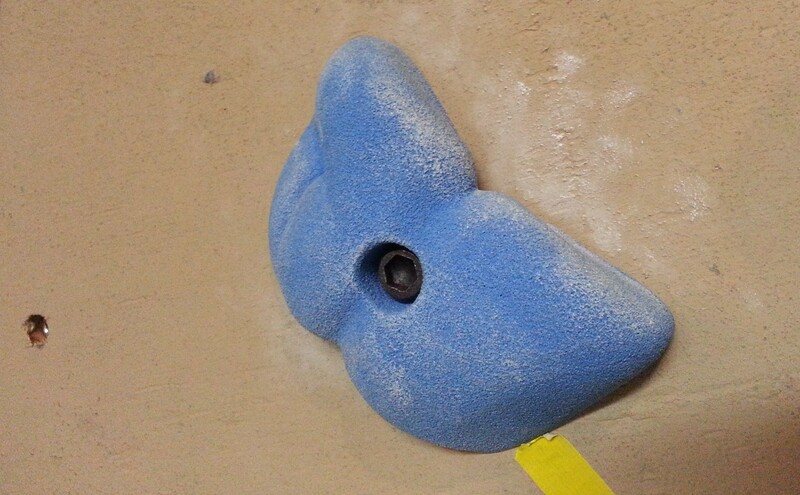 Several of the holds were hollow-backed. No big deal normally, but these were not oversized holds. These were some of the smallest hollow-backs I’ve ever come across. Super light but still solid, both hand wrenched and impact driven. There were a lot of different shapes to be investigated. A few of them could definitely be identified as sets. And as Brian alluded, there were some quite unique shapes in the box. Some of those unique features really worked and only a couple didn’t suit my preferences. Since there were so many holds and varieties to pick from let’s touch on three categories: the sets, the ‘not-for-me’ holds, and the top picks. Right off the bat, I noticed the 3 similar crimps/mini-jugs called Rolls. They have a good radius and the subtle ridges feel solid when gripped. They are low-profile and have a small footprint, so they don’t take up a ton of valuable real estate. They also are great as footholds as they require precise placement. I also got to grab onto 2/5 of the Cakes jugs; nice, comfortable, deep jugs with ‘eroded’ pockets to dig in with the thumb. I really liked these, and for a different reason. I liked that if they were oriented as a sidepull or undercling, those ‘erosions’ made for very precise foot targets. One thing I look for particularly in climbing holds is for a way to make it so that handhold you just used doesn’t end up a GIGANTIC ledge to stand on as you progress upward. And lets not forget 3/5 of the Perch set. These are a set of flat edges with clean rounded edges. Solid standard holds with friendly surfaces. I actually really liked most of this hold, the Moldy Loaf. But the side pictured here is designed to mimic real rock. There is a lip near the wall edge that is not wide enough for fingers to crimp inside, so when it is grabbed, the lip just digs into my finger-tips. Although, I’ll be the first to admit that there may be some application of this feature that I’m not thinking of. Meuse Climbing Holds are high quality. In almost all cases, they expertly blend form and function. Creative uses of their holds are only limited by the mind of the setter. 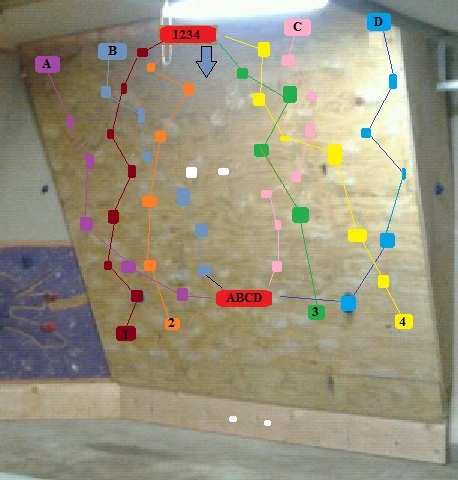 And I leave you with this bit of amusement… a video of a “Yellow” route I set on my 45* wall in the garage… and then me climbing it. If you look close, you’ll see our friends Moldy Loaf, Grenada, Chisle, Fang, and Lox. These videos are long overdue. I did attempt to smash them together and have some crisp cuts and background music (other than my breathing), but the converting from Flip Video was not being very cooperative. This first video features the Commudum Pinches (used as crimps), the Cthulu Tufa, and the Diffraction (hidden behind arete). This second video features the Commudum Pinches (again as crimps) and then how they are good as slopey footholds when tracking. This third video features the Cthulu Tufa and a pretty intense spinner test. I do believe these come with set screw holes now, but mine did not and I was certain it would spin. The grey wall on the left is painted with NicroTex paint and the straight on wall is pure plywood. I was pretty impressed. A while back, likely last March based on the date stamp, I read a blog post from Sean McColl about a French Training Camp he participated in. Right away I was intrigued by one of the activities he described as “Mangrove Power” or as my poor French translating from the diagram to the right, “The Mangrove Tree”. 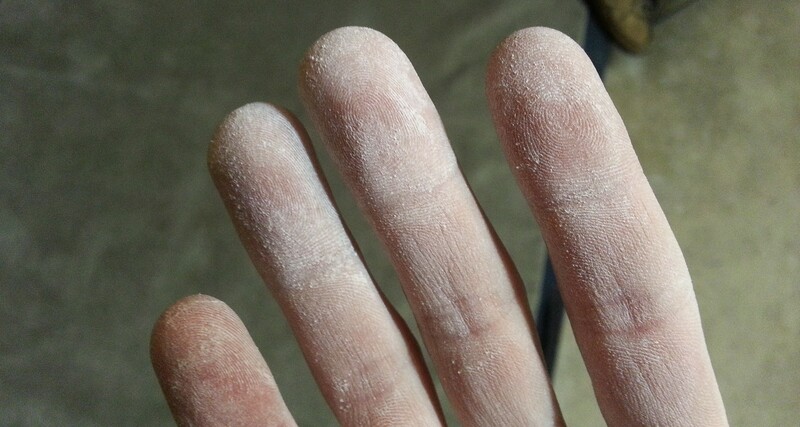 At the time I was guest routesetting at a local Lifetime Fitness climbing wall. This wall is actually pretty decent compared to other fitness center walls I’ve seen. They had 9 top-rope set-ups and some pretty good variety of angles. I thought of using this Mangrove Tree concept at that wall for 2 reasons. And second, I saw it as a way to train stamina. One key benefit of this location was the 2 hours of childcare provided. I was excited to develop my recovery abilities, both mid-route as well as in between attempts. I wanted to see if I could do all 18 variations in 2 hours. Regretfully, I did not get the opportunity to give this a try before we moved and my membership dissipated. But the idea didn’t leave my head. Enter homewall v.3.0 and my modified Mangrove Tree. Modified based on the limited height and boulder focused rather than route focused. It’s still a work in progress as I only have 2 lower branches and 2 upper branches set so far. But here’s what I came up with. How it works: Every boulder is a combination of a # route (1-4) and a letter route (A-D). The # routes are the bottom half of the problem. 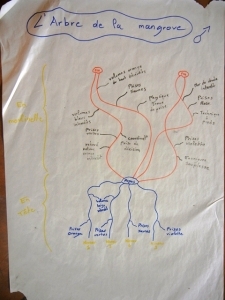 The RED hold at the top center is the equivalent of the center point in the French Mangrove Tree. 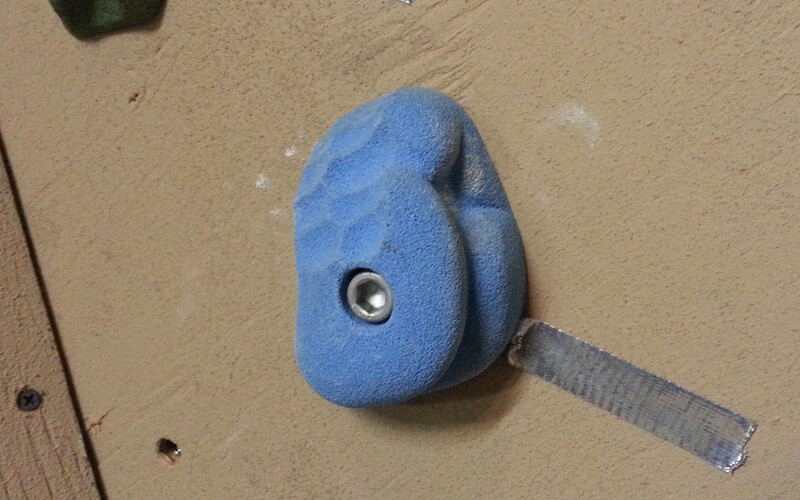 Because these are much shorter and more bouldery, it is not really a very good rest hold, but is matchable and (*key*) identical to the RED hold in the bottom center. As well as the spacing and size of the white foot jibs. Once the # route is climbed to the top center, the climber drops and IMMEDIATELY begins a lettered route. Like I said, its a work in progress, but at my disposal I will have 16 problems with 12-13 hand moves each. I plan on working some serious stamina, climbing all 16 combinations in a set workout time. I can tick them off systematically or by random drawing. I’ll let you know how it turns out and, with any technological luck, possibly upload a video or two. Thoughts? Experiences? Please feel free to share your insight. Or ask questions… chances are I may need to provide additional clarification. 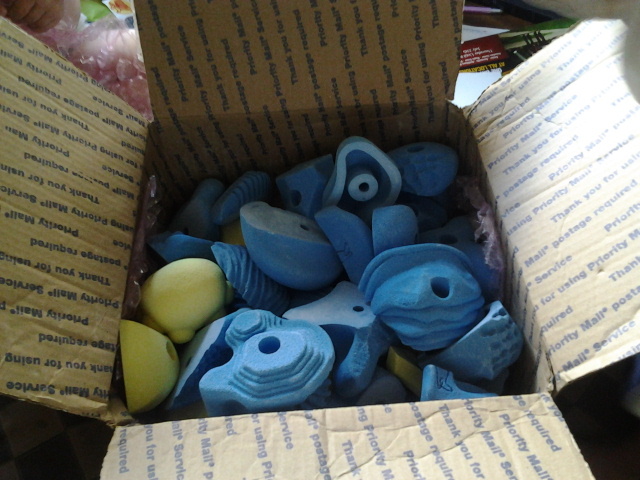 I was recently given the opportunity to sample some holds from a newer hold manufacturer based in Canada. 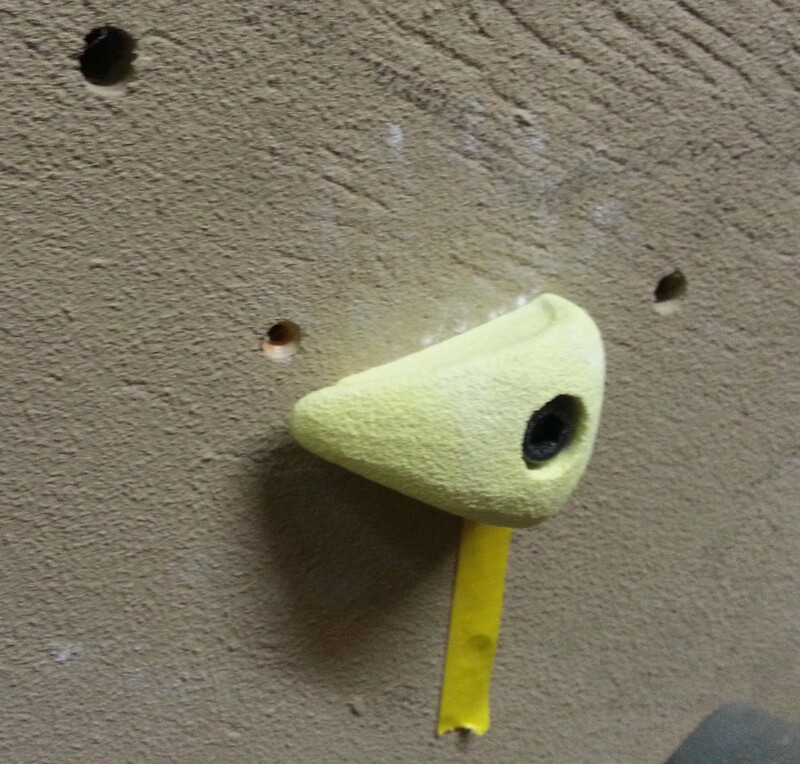 Redpoint Holds. I would like to start off with a small back-story and to brag on the incredible service I received. This whole thing came about through a brief interaction on the Facebook companion of the (newly re-launched) routesetter.org website. There are many new hold companies popping up all the time. And quite frankly, I don’t blame them. These companies are all started by regular folks that LOVE climbing and just want to make a living doing something they are passionate about. Redpoint owner Nikita Taylor is one such person. I reached out to Nikita from a bit of a different perspective. 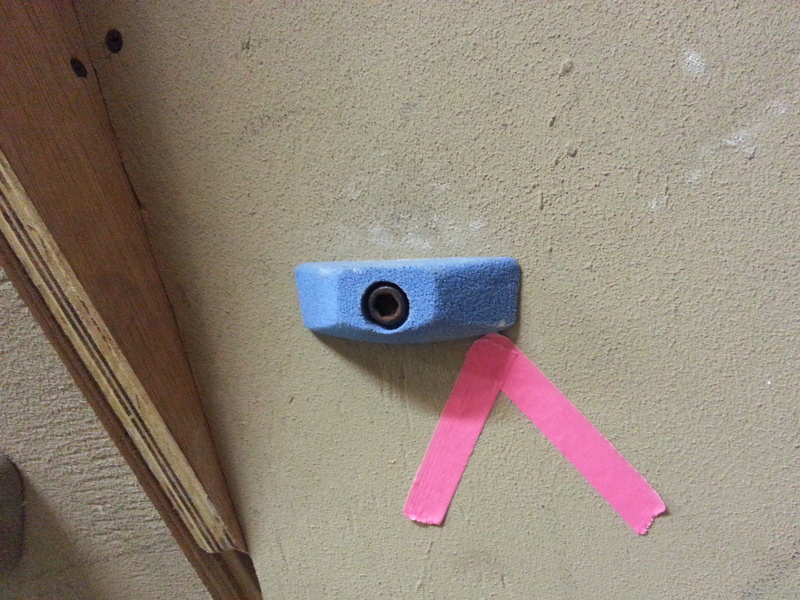 Many of the reviews of such climbing holds are done from a Commercial Gym mindset. And they should. It’s called Volume and that’s how business works. I came to him from a homewall owners perspective. 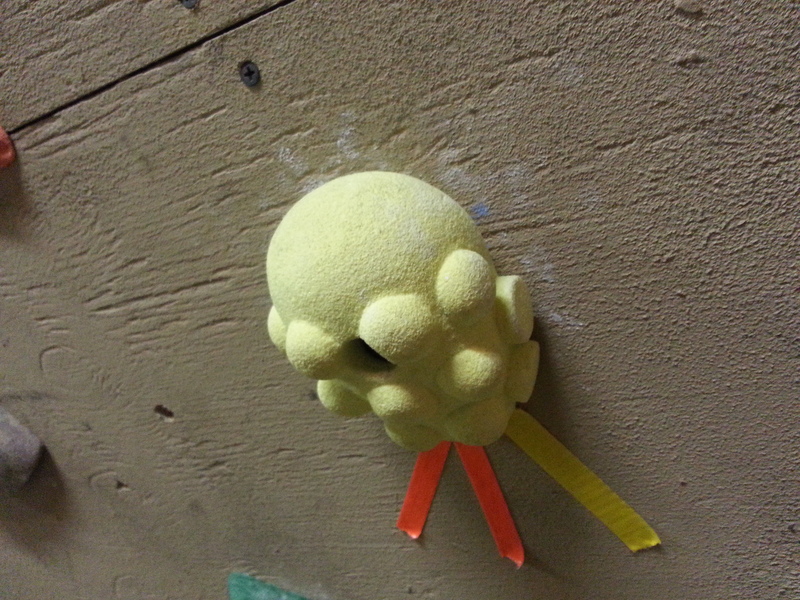 The holds that are “best” for a homewall are often different from the needs and wants of a Commercial Gym. How much more business could a hold company tap into if they appeal to homewall owners as well? Well, I don’t have a number for you, but I would say that it would appeal to three main demographics: the ‘with young children’ crowd, the ‘super inconvenient work schedule’ group, and the ‘live just far enough away from a gym’ clan. So when I spoke with Nikita, I told him I could do a review of Redpoint Holds from that angle and told him a bit of the criteria I look for (below in bold). So I got the package… and it was a great selection. I immediately grabbed and rubbed. Something extremely important for a homewall is the texture of the holds. In a commercial gym, you might grab one particular hold or set of holds every so often. 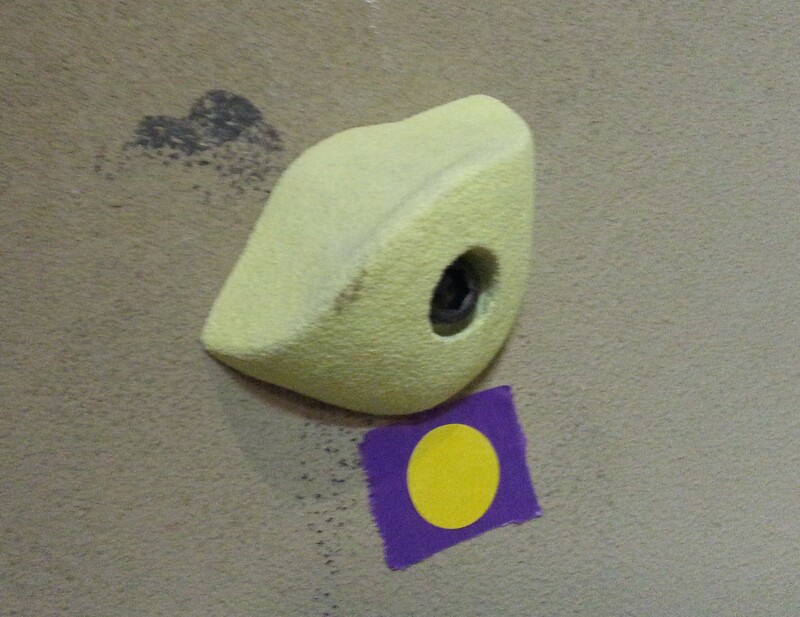 On a homewall, that hold or set might be used over and over in a session and over the course of time. Texture is a delicate balance. Too slick and it won’t get used. Too rough and it will do a number on your skin. And unfortunately, skin is a limiting factor. I have holds on my wall at all texture levels. Even if the company has great shapes (which many do), if the texture is off I may still grab it, but I will dread it. So where do Redpoint Holds fall on the Texture spectrum. 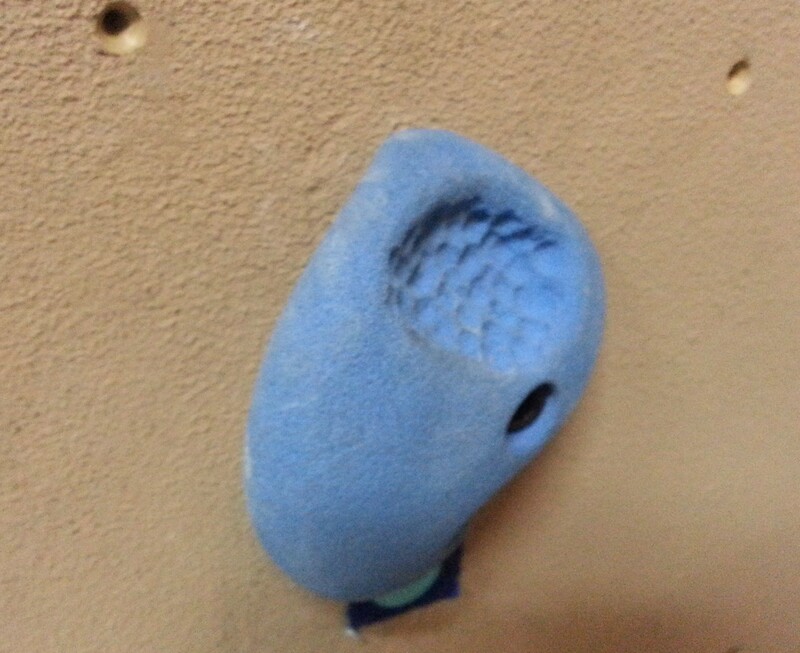 I’d say Redpoint Holds are very similar in texture to Revolution/Pusher and Three Ball. 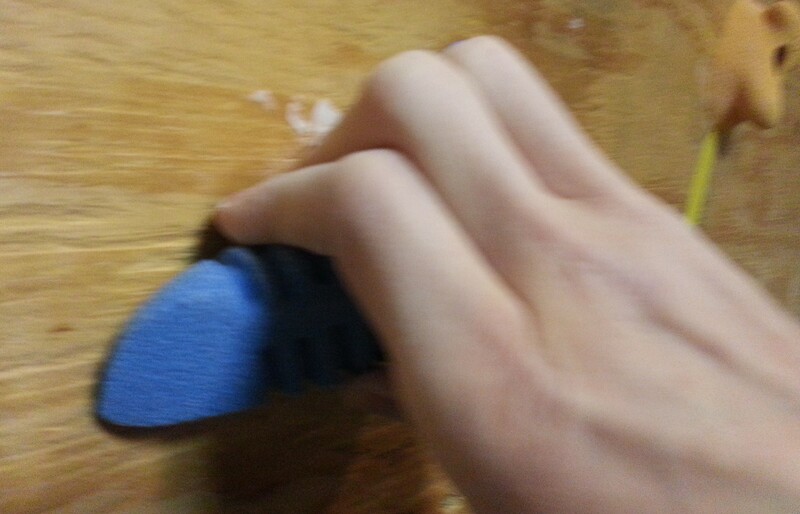 Slightly more grip than Nicros and less abrasive than SoIll. I really like the texture. Though a couple months really constitutes limited usage, it appears that the texture will hold up well. After I was pleased with the texture. I started checking out the shapes. When it comes to shapes for a home wall, Low Profile is key. And what I mean by Low Profile is a manageable foot print AND moderate depth. While gimmicky holds are fun and thought provoking (my favorite in real life), they tend to be large and take up valuable real estate on your wall. It does not mean that I wouldn’t use large holds, it just means that I’d tend to be more careful before investing in one. A gimmick hold would REALLY have to fit my third criteria (see below). And when it comes to depth. I really don’t like holds that stick out profusely because of the increased likelihood of banging my elbow on it. The Commudum Pinches I tested from Redpoint are very low profile and small footprint. The Diffractions set also is a good steward of real estate. And of course the Currency Feet as well. The Cthulu Tufas are a bit on the deep side and, depending on positioning, tend to cover several t-nuts. I am not disappointed by the hold. Not in the least. It was fun to set with and my spinner test using it blew my mind. But I doubt I would invest in the Cthulu Tufa set if I had others to pick from. 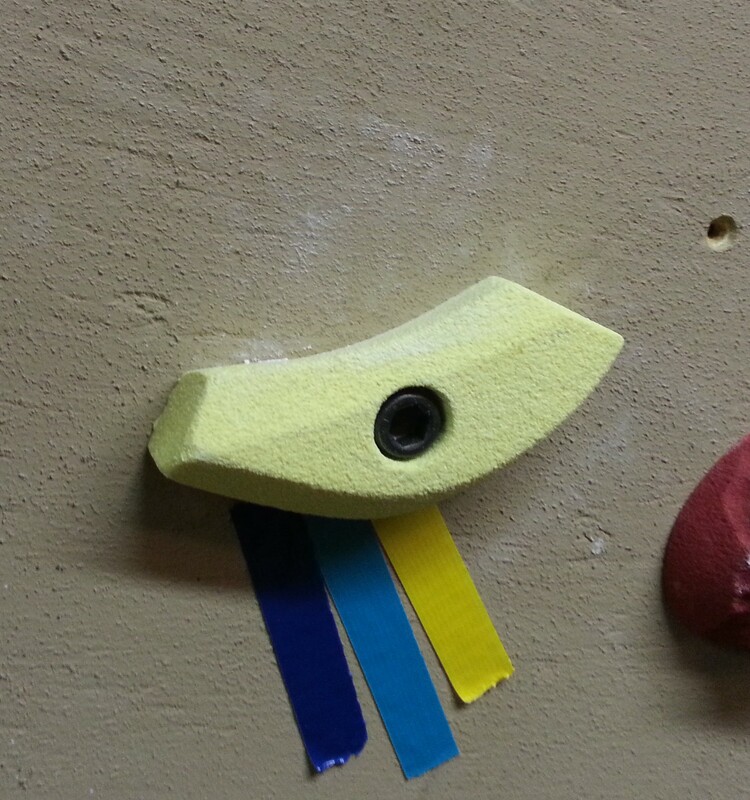 So then I got to bolting the holds on the wall. Due to a dumping of many inches of snow, and the subsequent melting in my garage, this took a little longer than I would have hoped. I got to setting a few routes with them. This leads me to my third criteria, Versatility. Having a hold that is usable in many orientations is just like getting a two-fer or a three-fer. The Cthulu Tufa was fun to set as a lieback, knee-bar, pinch, and heel-hook. The circular Diffraction was awesome in the versatility respect. Rounded edge on one side, awkward edge on another, and really tough sloper on a third. The Commudum Pinches had a few different uses as well. 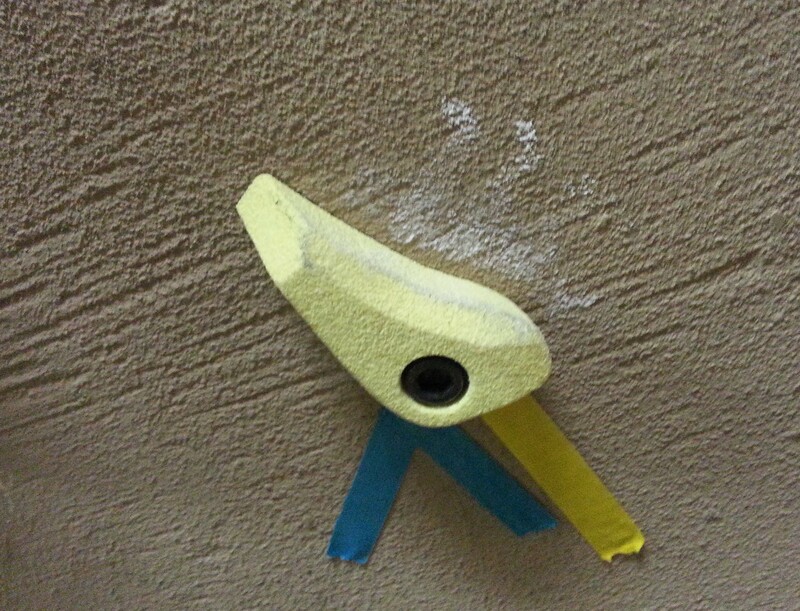 Although designed as pinches, on the 23 to 30 degree angles of my wall, they actually worked better as crimps. I see their use as pinches on more close to vertical angles. Also most of the Commudum’s are very good as feet. I especially like their use as feet when tracking. I was most looking forward to the Currency Feet. The way they are shaped gives each hold 4 different slopes and therefore you could increase or decrease the difficulty by just spinning the hold. I received 3 of these but only 1 was usable. 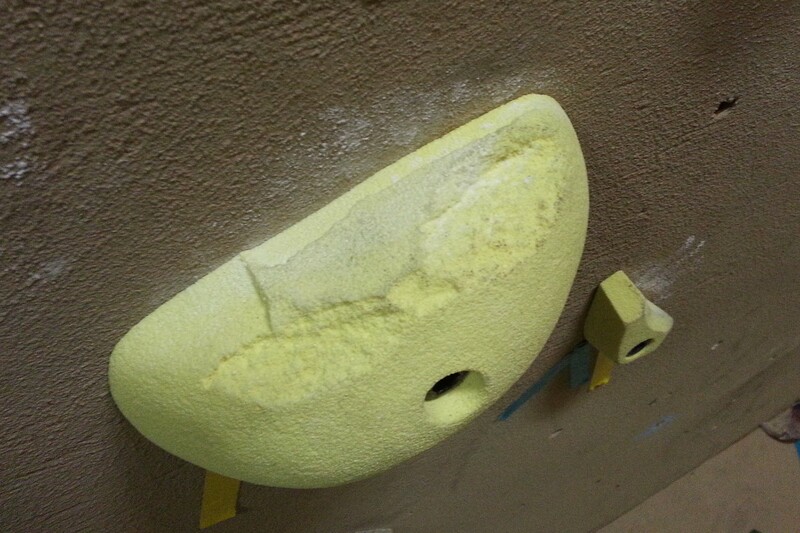 As they were a new shape, Redpoint was trying a different mix that had different curing specs. I’ve been notified that this has been taken care of. The one on my wall is all its cracked up to be. I love how simple the design is yet the slopes are so smooth. If they moved it to the exact same mix as the rest of their holds, I would not question the investment in this set. ~ Spinners = I thought the Cthulu Tufa would spin for sure as it didn’t have a set screw hole (looks like many holds on their site now have set screw placements) but it would not move; not with texture or on pure plywood. Finally, based on photos, I believe that these sets would also fit my above criteria for homewalls. 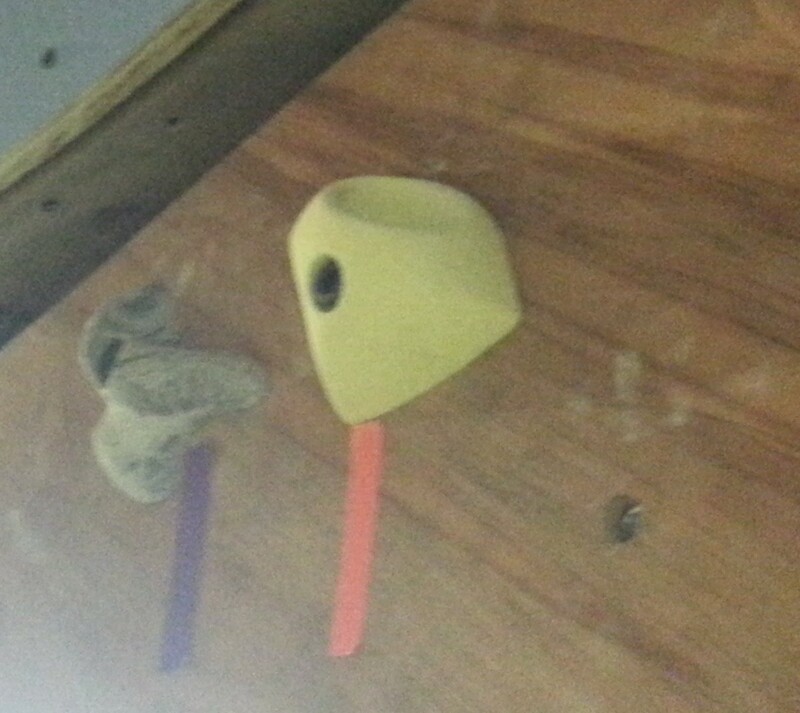 Overall, Redpoint holds are great quality holds. Service from the company is fantastic. Without deciding for you, I believe you would really be pleased with your purchase. So, go for it! Give them a try, eh!